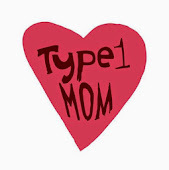 The emotional side of caring for a child with T1D is for me the hardest part. 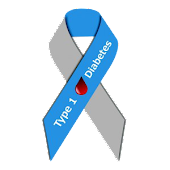 For the most part we just do what we need to and diabetes isn't the main event all day. Justin handles the finger sticks, pump site changes and dexcom site changes like a pro and with no complaints. But there are times when I will think about his future or a site change hurt and there are tears in his eyes but he stops them and says he's fine, its ok. Those are the times it's not ok.....at all. I absolutely hate that I can't take this away. And while we allow him to everything he would have done if T1D never came into his life, his childhood isn't the same. It's not normal to have to stick your child with needles. And when it hurts enough to make him tear up, it breaks my heart even more than it already is. I've cried many tears over the fact that he has T1D, I've cried in fear that he will somehow hate me when he's older and that his memories will be of me sticking him with needles. I cry when he's over it and frustrated. Me and Justin have sat together and cried while I'm holding him, I just let him vent and get it all out. It's been a long time since he's done that, but it helps. Also he had a counselor for a little while because he was having trouble dealing with diabetes and just very angry about it. It helped, she talked to him about ways to manage his anger and in the end it came down to he was upset when he was at school because Mom and Dad weren't there to help with diabetes care. He is now independent at school, besides going to the clinic for lunch so numbers can be logged. Another thing I always say is that I worry about Justin's mental health as much or more than I do about blood sugars. For example; He calls from school because a classmate brought cupcakes for their birthday, his blood sugar is 280. I refuse to tell him he cannot eat the treat with the rest of his friends because of his blood sugar. Yes I know that a cupcake isn't a great choice when your bg is high, but he gives the appropriate amount of insulin to correct and cover the carbs. Then he gets to enjoy the celebration with everyone else instead of sitting there watching everyone eat (That image alone is heartbreaking for me) In the long run, I find this much more detrimental. And yes I know all about diabetes complications, I work for a podiatrist and have seen way more than I care to share in this post. But I think about the whole picture, his whole life with diabetes tagging along. My thinking wasn't always this way, but I have learned to roll with it, otherwise diabetes will be controlling us instead of us controlling it. I try to empower Justin so he knows he can truly do ANYTHING he wants, and he's got this.